We’ve come a long way when it comes to estate planning – so far, in fact, that it’s sometimes difficult to remember that there was a time when things like trusts were solely the province of the richest families. Today, many ordinary families just like yours use trusts to accomplish a variety of estate planning goals. The pendulum has swung so far, however, that we’ve reached the point where do-it-yourself living trusts are being marketed online as an alternative to those crafted by attorneys. While there is certainly nothing that prevents you from creating your own trust, there are some very important reasons why you should instead rely on help from a living trust attorney. Trust laws across the country are largely governed by state laws. Those laws cover how trusts need to be created, including the legal formalities involved in drafting them and getting them properly signed. There are laws governing who can serve as a trustee, how descendants are defined, rights regarding homesteads, and things like common law marriage. These laws vary from state to state, as different jurisdictions tend to have their own ideas about how trusts should be viewed. Because of those differences, it’s difficult to conceive of a way that anyone could create a trust document that would be equally applicable in any of the nation’s different legal jurisdictions. And make no mistake – those legalities matter. Trusts are legal entities and they are dependent upon the trust document being in perfect alignment with state law. If any part of the trust is improperly drafted or executed, it could result in the entire trust being revoked. At best, your heirs could find themselves shelling out thousands of dollars to have a trust lawyer correct the deficiencies. If you think about it, how can one formulaic trust document possibly meet the inconceivably large number of different needs that people bring to the estate planning process. Your needs are, after all, quite different from every other person on the planet. Is there a way for any form document to encapsulate the flexibility required to meet that wide variety of needs? The reality is that DIY documents are hopelessly generic in content, and thus unlikely to meet anything but the most basic of needs. To deal with anything more than that, you really do need the services of an experienced trusts attorney. It’s also helpful to remember that most of the DIY trust documents out there essentially tell you that they’re not as good as the product a lawyer can deliver. That’s what those disclaimers are for, after all. And when a document disclaimer admits that its content is not a suitable replacement for professional legal advice, you would do well to heed that warning. They’re alternatives to legal documents, but they’re not the same thing. 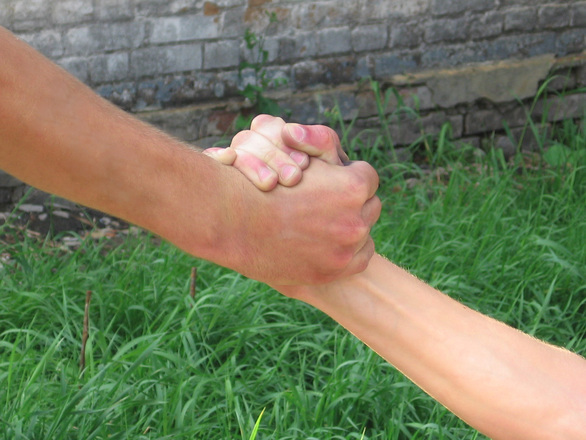 If you want a valid, enforceable trust that you can rely on, then you need to collaborate with a practicing attorney. Of course, it’s important to remember that mistakes can be expensive for your heirs. Those assets that you thought were safely sheltered within your trust and ready to be delivered to your heirs when you die could end up in probate if mistakes render your trust invalid. And again, the best that you might be able to hope for in such a situation is that your heirs end up paying to have the trust fixed. Unfortunately, those costs would end up consuming part of the estate that you intended to leave to them. The fact is that there’s only one sure way to avoid mistakes, and that’s to have your trust created by a professional with experience in these matters. A trust lawyer will be familiar with your state’s laws and will know exactly how your trust needs to be drafted to meet all the pertinent requirements. That lawyer can even assist you with the process of funding the trust, helping you to avoid one of the most critical errors many grantors make when they set up their trusts. After all, an improperly funded trust won’t accomplish any of your long-term objectives. You should also consider the issue of expertise. When you need dental surgery, do you do it at home? Do you repair all your own vehicles and build your own homes and dig your own swimming pools in the backyard? If you’re like most people, you have certain core competencies that make you proficient in your own areas of expertise. You almost certainly rely on other specialists to handle issues outside of your field of knowledge. Well, estate planning is another example of something that requires specific knowledge and a certain kind of experience. Whenever laws are involved, it’s always wise to rely on people who have devoted their lives to understanding legal matters. As tempting as it might be to try to save money by using some downloaded trust form from the internet, the risks are too great to warrant the gamble. The fact is that once you recognize that you need a trust to meet certain objectives, you’ve already acknowledged the importance of that goal. If it’s important enough to merit the use of a trust, then it should be important enough to ensure that your trust is created the right way. Obviously, we all have decisions to make when it comes to choosing how we use our resources to accomplish our planning goals. When it comes to trusts, though, there is only one responsible decision, and that’s to leave it to the experts. 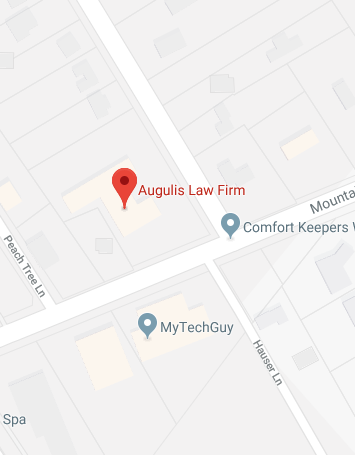 Fortunately, the professionals at the Augulis Law Firm can help you to create the trust you need to meet even your most complex planning objectives. To learn more about how a living trust attorney can assist you with the creation of a trust that strengthens your broader estate planning effort, contact us at our website or give us a call at (908) 222-8803 today.